Of course, it had to be a Mustang. The curse of the Mustang continues, as another avoidable crash has been captured on film reducing the iconic muscle car into a mangled wreck – though this time it wasn’t at a Cars & Coffee Event. This footage taken from a motorcyclist’s helmet cam in the UK won’t do the reputation of Mustang drivers any favors. When a set of traffic lights fail at a busy intersection, you would think anyone with an ounce of common sense would slow down and approach with caution to pass through safely. But not this moronic Mustang driver. As the motorcyclist wisely stops at the intersection to assess the situation, an oblivious Mustang driver in the next lane tears through the intersection into the path of a Hyundai Getz which was pulling out. 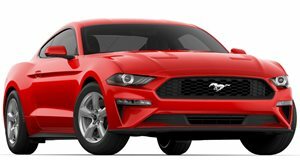 Unable to stop in time, the Mustang T-bones the Korean hatchback at sickening speed. As luck would have it, the crash occurred in front of a police car, and a doctor happened to be passing by to treat the occupants. According to the video description, the Mustang driver received a cut to their hand and the elderly driver of the Hyundai was unsurprisingly in shock. "Everyone seems reasonably OK, older woman in the little car seemed shook up and the Mustang driver has a bleeding hand, no passengers in either car," the motorcyclist wrote. "I explained what happened to the police officer, where I was during the accident and how the two cars crashed, when I mentioned that the traffic lights were broken the Mustang driver said 'thanks buddy' to me but really does that excuse his driving?"